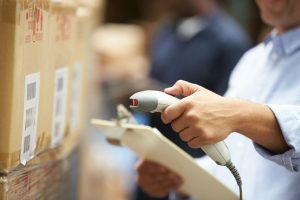 No barcode system is complete without the accompanying software that helps companies track their inventory in real time, and at Tri-State Business Systems, we offer barcode software for companies of all sizes. Whether you are a start-up business looking for a standard solution or a fortune 1000 company interested in custom software, we can help. The best barcode software will work seamlessly with your barcode label printer, mobile printers, chosen labels, scanners and more. Which software you choose will also depend largely on your ultimate business goals, so it is always wise to speak to an expert who can help guide you in choosing the appropriate software for you and your company. At Tri-State Business Systems, we have been serving the barcode and labeling supply needs of fortune 1000 and 500 businesses for many decades. We have the skill, knowledge, and experience to provide our clients with recommendations on the system and components that will best meet their needs both now – and in the future. We can help you select the correct software to get your business operations flowing smoothly and educate you on the best supply options to meet your unique requirements. Our experts can even analyze your current processes and provide custom, turnkey solutions for you and your business. From desktop printers, high-performance printers, and mobile printers to barcodes scanners, healthcode scanners, labels, and everything in between, we can provide you with the highest-quality products at competitive, affordable rates. If you are a business owner in Branchburg, Flemington, Rowland Mills, Hopewell, Mt. Rose, Princeton or the surrounding regions and would like more information about our barcode software options, contact us today to discuss your goals. 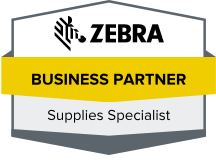 Or, place an order now for a barcode label printer, labels, scanners, or any of your other barcode supply needs. We quickly process orders to ensure that you have the supplies you need – when you need them!